Let’s get back into it! Have a great 2019! 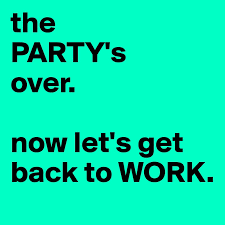 The summer party is over and we are all back to work.